Biblesoft's Biblical Language Study Bundle brings together the power of Trench's Synonyms of the New Testament and E.W. Bullinger's timeless classic Figures of Speech. These references are extensively tagged and indexed to operate seamlessly with all of the rest of your PC Study Bible library references. A big part of unlocking the unfathomable riches of God's Word comes from understanding the nuanced meaning and interaction of biblical words as they form the passages and books of the Bible. For decades scholars have revered Figures of Speech as Used in the Bible by E.W. 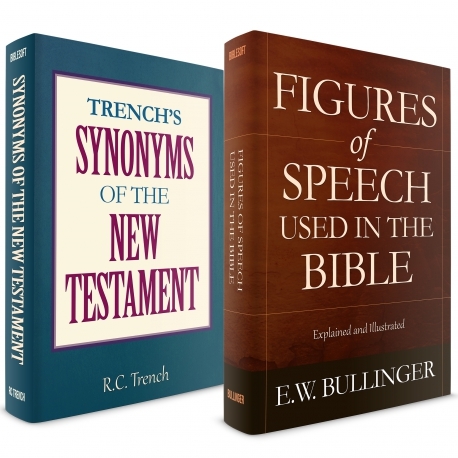 Bullinger, and Trench's Synonyms of the New Testament by Richard Trench. Now you can add both of these powerhouse study tools to your library for the breakthrough price of just $59.95. Figures of Speech: Under PC Study Bible's topic menu, select any figure of speech you want to research, e.g., alliteration, or also homoeopropheron. 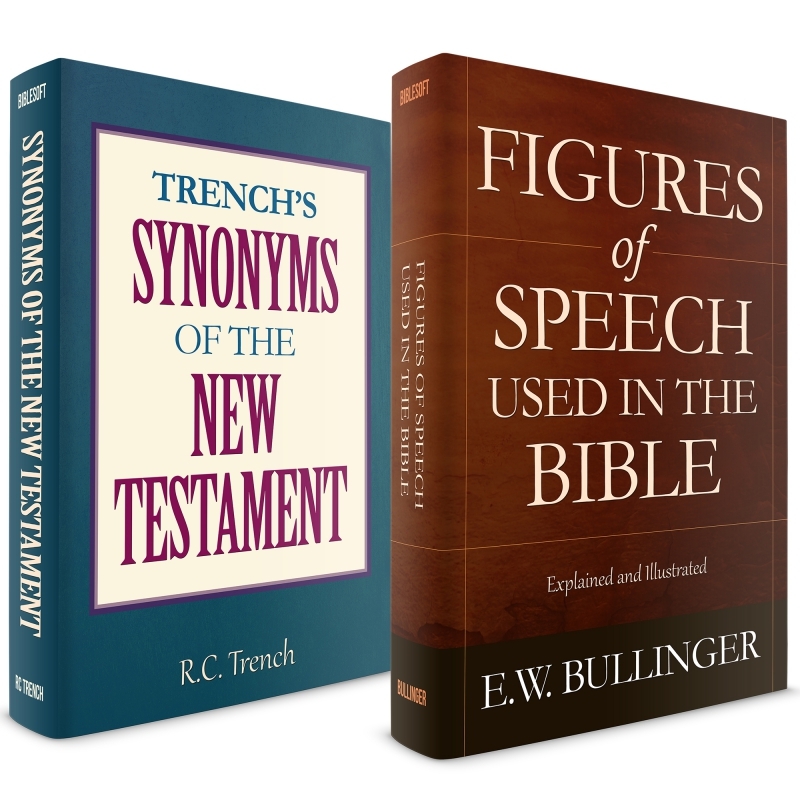 The article in Figures of Speech provides and in-depth look at how successive words carrying the same beginning letter or syllable are used throughout Scripture. Thousands of Bible verses used to illustrate various figures are linked which makes Figures of Speech a first-rate word study commentary. Many of the articles contain outline diagrams to clearly illustrate form usages as they occur in a particular figure of speech. All figures included are categorized by their topical link under the Topics menu. 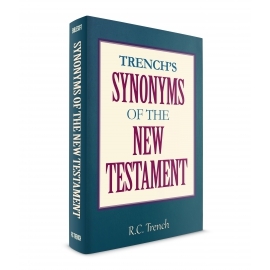 Trench's Synonyms of the New Testament: Go to the Greek or Hebrew word list menu and access the Trench's article by selecting from a Greek word list or by its Strong's number. You will be amazed at the depth of information gained from understanding the nuances between words which appear to mean exactly the same thing in English translations when applied to the Greek text. If you need assistance in finding a Greek word through its English equivalent, Trench's in PC Study Bible provides you with an English word list with linked topic articles. To demonstrate the power of Trench's Synonyms of the New Testament, see the excerpted article (click excerpts above) on the four different Greek words used for blameless. More than 300 articles provide incredible thematic and semantic detail on an impressive array of Greek words and why understanding their synonyms is important. The presentation is similar in detail and scope to The Theological Dictionary of the New Testament (Kittel) and the Louw and Nida Greek-English Lexicon of the New Testament. The Trench's content is topically linked to references in the Church and Apostolic Fathers collections, as well as the works of classical Greco-Roman and Medieval authors. Also available: Biblical Language Studies Collection for the Old Testament and for the Old and New Testaments for a special discount price.